Introducing you the latest addition to Regent's fun snacks-- Sushi Bar Snacks! 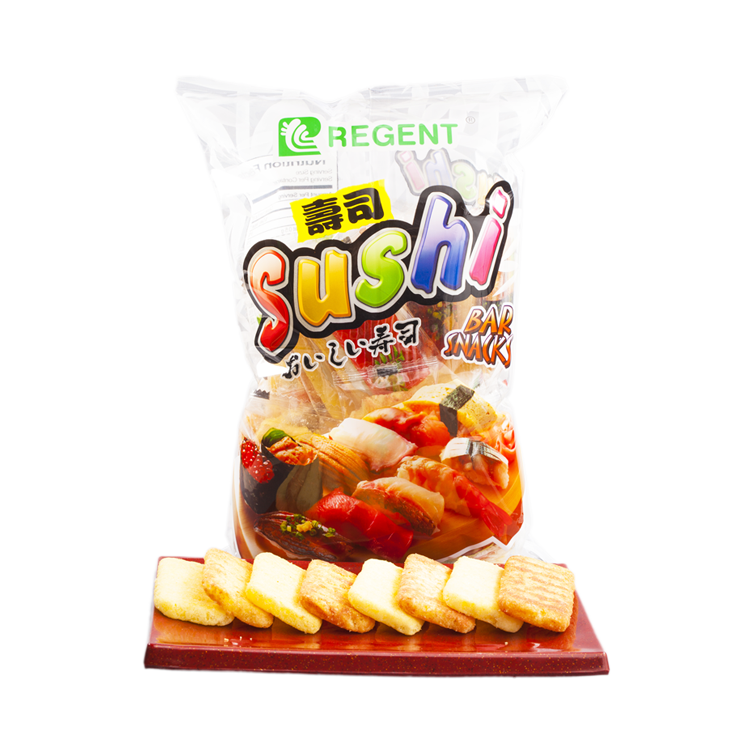 This is a pack of 30 individually packed rice crackers with assorted sushi flavors that you'll surely love! Try one now!